Got all the wave two PotP deluxes in the mail Monday. Rippersnapper is the clear winner of the bunch for me. 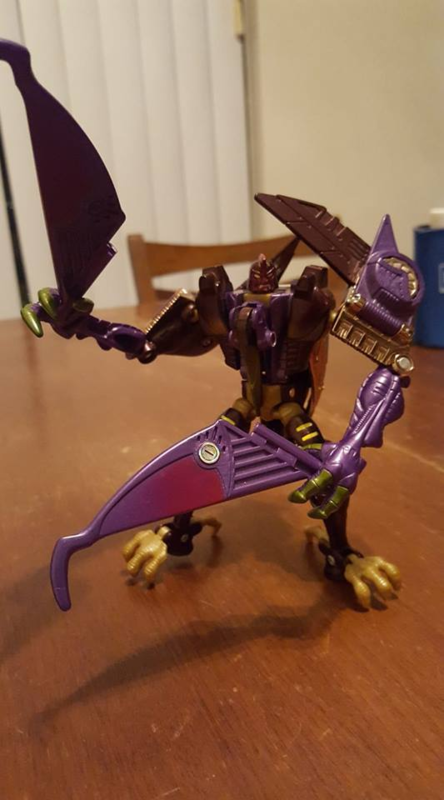 He’s great, and I’m really looking forward to the rest of the Terrorcons. 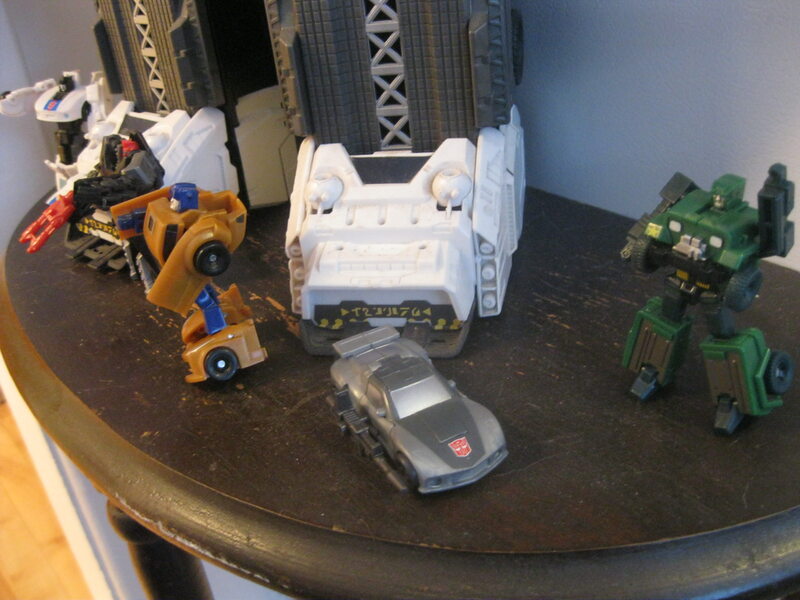 I hope they stack up, even though they’ll all be displayed in combined mode eventually. 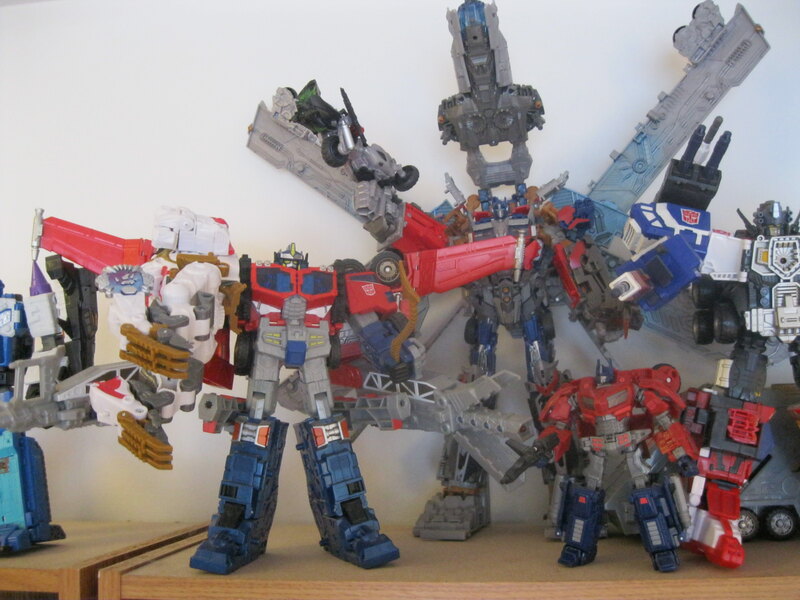 I’m underwhelmed by the dinobots, but at least they look nice as a team, now that I have them all. Part of me wants to troop build Slashes, for a raptor army. I don’t mind Moonracer’s backpack really. I don’t find her to be terribly unbalanced, despite its size. Her double jointed knees are nice, and I’m digging her pastel color. Looks great with TR Arcee, Windblade, and generations Chromia. Darkwing is okay. The soft plastic tailfins on mine are pretty warped. Going to have to try to fix that. I wanted to display him on a clear stand, combined with Dreadwind, but they don’t actually hold together very solidly. I was really hoping for more out of those two. They look just fine in bot mode, next to Overlord though. Overall PotP has been pretty “meh” so far. I think Abominus is really going to be the saving grace of this line. I do find myself missing the fun of the TR line already. Makes me wish I had sprung for the Takara versions of the target masters all the more. I want to build my Terrorcon team already. 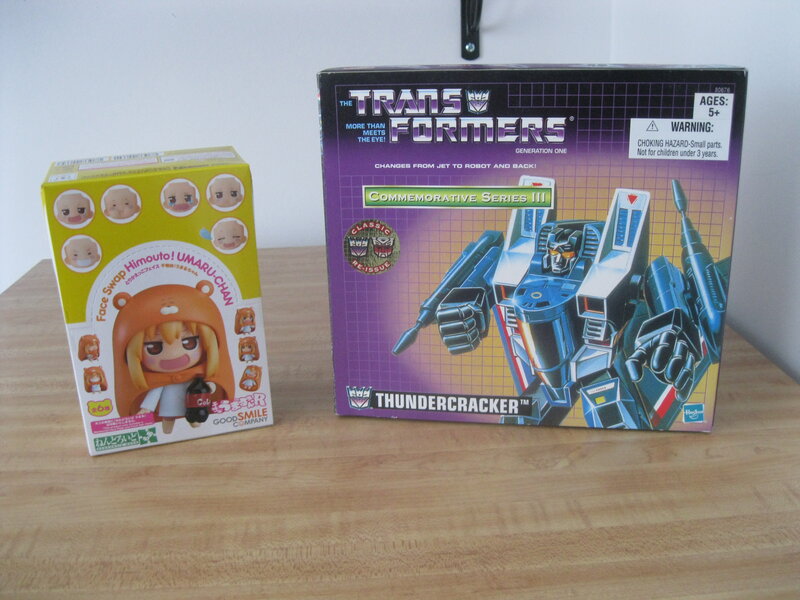 Got a nice addition to my sealed Thundercracker shrine. Commemorative G1 Series III 2002! The box is perfect unless some get picky. It's sealed and everything is there. I love the velcro flap that show the content in all it's glory. Never fear, I have a G1 Starscream Takara Encore to play with. For only 65$CAN shipped in 3 days, I can't ask for more! I told myself if I saw Blackwing in stores I'd grab him right away since he's one per case and goes with Dreadwind and, well, I did. Found him today sitting on the pegs at Walmart along with a bunch of Snarls and Sludges (no Rippersnappers or Moonracers) so I snapped him up, no more worrying about only having half the the duo. I didn't buy them, but they did have Hun-Gurrr and Alita 1, she had the reversed feet and black armor if anyone cares. They also had a Rodimus Unicronus which is the third time I've seen him now, all at this store. Optimus was gone and I've still only seen regular Rodimus once. Only wave 2 stuff I haven't seen yet is the Prime Masters. Emerje wrote: I told myself if I saw Blackwing in stores I'd grab him right away since he's one per case and goes with Dreadwind and, well, I did. Nice. Although I do have to admit, I find the combined jet mode a bit underwhelming. Don't get me wrong, I think it is cool the Hasbro included it. But the end result is just kind of meh for me. Emerje wrote: Only wave 2 stuff I haven't seen yet is the Prime Masters. Target is where I had my luck. just in time for my newly finished D-Max Den!!! Got some stuff and thangs in the mail the other day. Recently got that Trailbreaker myself, awesome toy. Enjoy your latest haul! D-max, is that Terrorsaur, and from which line? Looks cool. Do I spy a Battle Blade Bumblebee in there? If so, ya did good. That figure is amazing. Acesmcgee wrote: Recently got that Trailbreaker myself, awesome toy. Enjoy your latest haul! Went to my local geek store today and brought back a pricey but modest haul. Universe Leo Prime and GDO Legend Blue/Silver Streak. Leo is 100% complete and Streak is brand new. 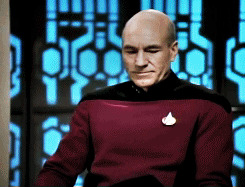 Streak is very, very nice. Simple (duh) generous amount of paint and he come with a GUN! A rarity among legends. He join Metroplex's crew. Leo Prime work better as Optimus's CLAW OF DOOM than the Cybertron original. I didn't expect that Optimus's hand had the peg so he can wield the tail-whip too. I like that combo better than I expected. Just picked up TLK Infernocus at my local TRU for 10% off. Him and Prime have been staring each other down ever since. I don't collect the movie line anymore. From TLK I only have Nitro Zues to use as a body for titan masters and the TRU exclusive deluxe Megatron which I only got for $7 because of a sale and an expiring rewards club $10 off coupon. But leader Megs for $13 was too good to pass up. 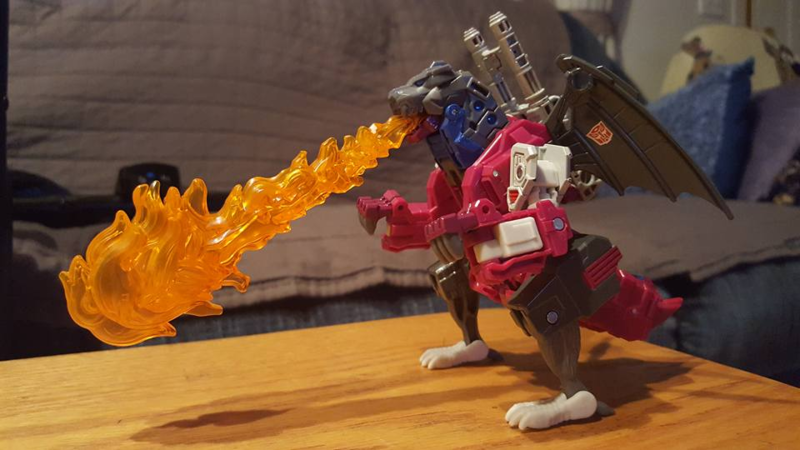 At $13, he is worth it just for the sword and flame effects. Volcanicus thinks so too. I'm having fun with the flames especially. Now THAT is a fire truck. Picked up Moonracer Sunday morning at Walmart. 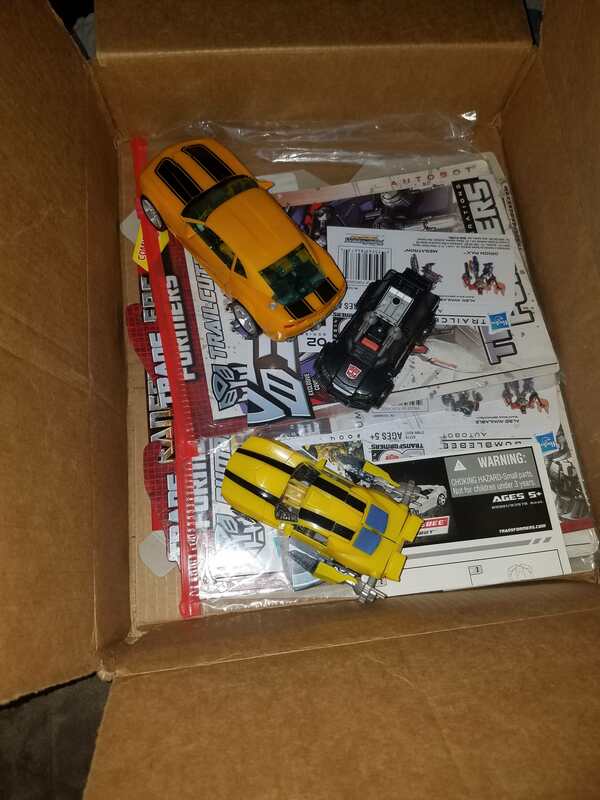 Looks like they might have gotten a second case of wave 2 Deluxes in since she wasn't there the other day when I got Blackwing. She's a much better figure in hand than in photos. I actually prefer her bot mode mistransformed with her "backpack" folded down and hanging off her back as it is right out of the package. To me it looks like a half-skirt or a coat tail like movie Crosshairs has. It looks good and it fixes her back heaviness. Doesn't she sort of look like a female Crosshairs like this? Such a simple "misstransformation" that fix everything. TF-fan kev777 wrote: I don't collect the movie line anymore. From TLK I only have Nitro Zues to use as a body for titan masters and the TRU exclusive deluxe Megatron which I only got for $7 because of a sale and an expiring rewards club $10 off coupon. 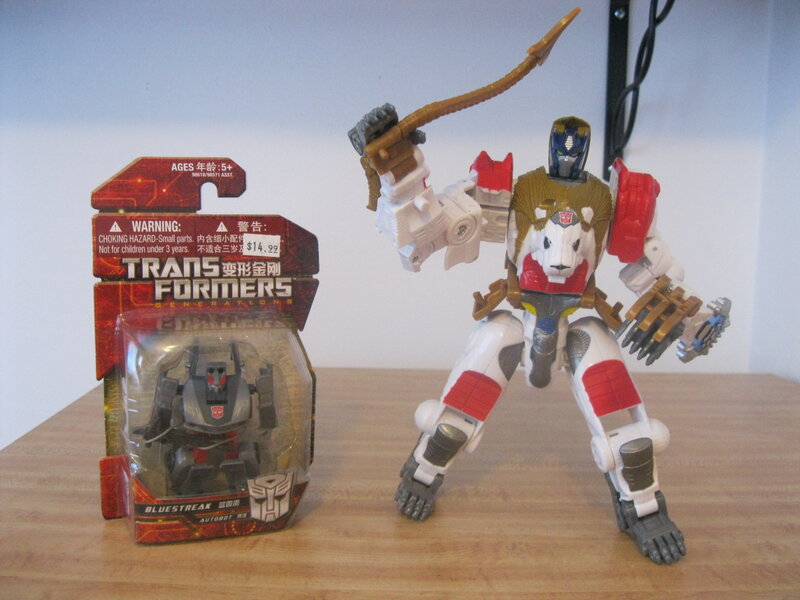 But leader Megs for $13 was too good to pass up. Motto: "Changes aren't permanent, but change is." So I decided to check out my local TRU before it's gone forever, and ended up walking out with a TLK Cybertron for $60. Even at that price I had to think about it for a while, but I have never had a Primus figure in mint condition, and I really like the color scheme of this version so I got it. Rodimus Prime wrote: So I decided to check out my local TRU before it's gone forever, and ended up walking out with a TLK Cybertron for $60. Even at that price I had to think about it for a while, but I have never had a Primus figure in mint condition, and I really like the color scheme of this version so I got it. At that price, I'd pull the trigger too. I never saw it at my local TrU. Not even in the online store. 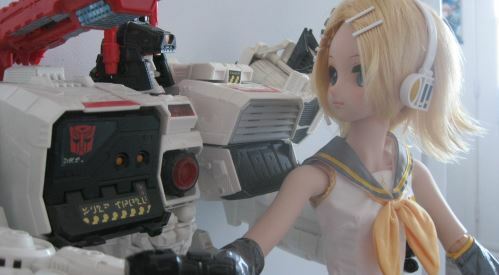 Maybe it will pop up randomly like the Chaos on Velocitron set... at full over 9000$ price of course. Picked up Windcharger and Slash today! I don't see why I've heard complaints about Windcharger, he seems perfect to me! And Slash is just all kinds of awesome. I also picked up PotP Slash as well as Swoop. I really wanted a red Swoop but it seems that won't happen so I gave in. -Kanrabat- wrote: Went to my local geek store today and brought back a pricey but modest haul. Leo Prime is neat. I remember getting him from a local Toy Vault about five years ago, as a birthday present. Even though I initially told myself I wouldn’t buy any TLK toys, after snatching leader Megatron for dirt cheap a short while back, I decided to give myself another small allowance by picking up voyager Megatron and Hound on the cheap. Voyager Hound is better than I thought, although I’m envious of the weapons that his Movie Best version has. I’d really love to have those. I have to say that Voyager Megatron, while pretty different from his leader counterpart, is no less impressive. He has way more articulation that I thought he would have. Pretty pleased over all. I’m looking forward to finding some of the Studio Series figures to fill out my movie verse ranks. TF-fan kev777 wrote: I'm having fun with the flames especially. Now THAT is a fire truck. Out of all the Autobot Headmasters he was the one that jumped out to me the most, so yeah, got him. Now my Brainstorm has a buddy! Highbrow and Chromedome are next on the list. 5,121 pages were recently viewed by 507 unique visitors. This page was viewed 1 times on Tuesday, April 23rd 2019 1:44am CDT. © 2019 Seibertron, Inc. DBA Seibertron.com. All Rights Reserved. Established June 2000. Seibertron.com is owned by Ryan Yzquierdo.